Jackie needed a kidney to live. And now she has one. Transplant happened November 12, 2018, her re-birthday. Thank you all. If page does not load HIT THE HOME BUTTON. I am Jackie. I need a kidney. Not necessarily your kidney, but someone's. You can help just by sharing this post with your friends on FaceBook. Together we can find that angel willing to do the extraordinary to save my life. I have end-stage renal failure due to polycystic kidney disease ("PKD"). It's a genetic disease. I inherited it. I am currently on dialysis. Ultimately I need an angel to step forward to save my life by volunteering to give me a kidney (blood type B or O). Tall order, I know. It's a big ask. So I'm not asking. But I am asking for your help in another way. There's something else that you can do to help me (and others with a similar need), even if you're not a donor: I need you to spread the word by sharing this request, and I'll show you how to do that in this post. Your job simply would be to get the word out about my need for a kidney. I am told that the more people who know of my need, the better my chance is of reaching a person willing to be an altruistic donor. So, now it's all about getting the word out. That's where you come in. I am a wife, a mother, a daughter and a teacher. I am a friend. I am a kind, compassionate and mindful individual. I volunteer at our local church food pantry. I love my family and my job as an elementary school teacher, teaching for well over 20 years, mostly in kindergarten and first grade. I hope to watch my amazing girls continue to grow and start families of their own someday. I hope to enjoy the role of grandparent with my loving husband in the future. I enjoy reading, game night with my family and I love to travel. I have very happy memories of family vacations, with special times spent together on cruises, at the beach, and at our special place, Walt Disney World. I hope to continue enjoying life to its fullest and many more precious moments of time with my family and friends. People tend to notice my smile and positive attitude. I always try to do the right thing and help others. Now I need someone to help me. Anyone. Thank you for your help in saving my life. Please give me 15 minutes (or more) and use that time to tell the world about this website (Kidney4Jackie.com). Email: Send this website to your friends (all of them) by email. Facebook: Post a small note on Facebook with a link to this website (icon above). LinkedIn: Post a small note on LinkedIn with a link to this website (icon above). Other Social Media Sites: Post a small note with a link to this website (icons below). And ask your contacts, readers, friends and acquaintances to do the same (to give this webpage exponential distribution). According to USRDS data, Kidney transplant recipients fare far better than dialysis patients. I need those additional years in order to continue helping others. My family members are medically disqualified as donors because of the genetic nature of PKD. Also, if a willing donor is not an exact match, through an arrangement called "Paired Kidney Donation" (kidney swapping) a donor who is not a match for me might be a match for someone else and I would be eligible to receive that person's donor's kidney that would be a match for me. For more information, see Columbia University Medical Center's "Becoming a Kidney Donor" and/or watch this short video. Angela Templeton, donor coordinator at Westchester Medical Center, Kidney Transplant at (914) 493-7864. Your questions will be answered by a qualified person who is familiar with my case. Speaking with a staff member is much better than speaking with me. They know far more than I do and you will get better information from them. So please, feel free to contact them. Keep in mind that a confidential phone call to the hospital does not come with any obligations to proceed further. So, please help me by Sharing this post with your Facebook and other friends. Please do more than "like" or comment. Likes and comments are the "hopes and prayers" of social media. Shares = action; the action needed here. Together, we can do it. Yes we can. Note: It is illegal to exchange money for a kidney. No such request will be granted any consideration. I will share the heck out of this. We're gonna find you a kidney!! Shared ! Also had a comment from a friend with renal failure that received a kidney transplant. Had great results with a Dr Conti from Albany Medical Center. Prayers sent. Did you find someone yet? I'll call Katie and Angela tomorrow if you haven't. Thank you! That would be great. I will share this as well Jackie. My cousin's two year old son just had to have a kidney transplant done. Luckily his uncle was a match (I love my cousins! ), both are doing very well since the surgery which was done in October of 2017. I wish I could donate, but I have a couple of auto immune diseases, so I can't, so as I said I will share your post. I'm O neg, Rh negative. I don't think I can help but my heart and prayers are with you, as the step daughter to the world's greatest dad, and step granddaughter to a grandpa who also had PKD. Individuals with type O Rh D negative blood are often called universal donors. B+ here! Willing to get tested. Please connect with one of the donor coordinators shown in the article who can assist you in setting up medical testing. They also can help answer questions. Thanks for your interest in saving my friend Jackie’s life. Jackie lives in NY hence she is registered at both Hackensack and Westcher Medical Center for the transplant. Call Hackensack if it is more convenient for you as a NJ resident. First step is answering some questions, then a blood test. I just sent you a message. Thank you. Please email me directly at emirsky@mirskylaw.com. Very much appreciate your post. Please contact Katie Murdock, Living Donor Coordinator, Hackensack University Medical Center, Living Donor Institute (https://www.hackensackumc.org/services/surgery/surgical-services/organ-transplant-surgery/living-donor-institute/), at (551) 996-4453 (or complete online Living Donor Intake Form at https://www.hackensackumc.org/services/surgery/surgical-services/organ-transplant-surgery/donors/living-donor-intake-form/). Sending you an email. Thank you! How do I know if I can be your donor.?? Thank you, Gladys, for inquiring. And thank you, Ellis! Hi Jackie, my name is (Santa) Andrew here in NJ! I am O- and would like to know if this will help? Email sent with transplant center phone numbers. Thank you. Thank you for your interest in trying to help to save my life! Did you find one yet? No, not yet, but she remains hopeful and optimistic. Jackie, After 4 years of search through 4 states, we finally found a Kidney from an altruistic donor for my Wife Lisa. 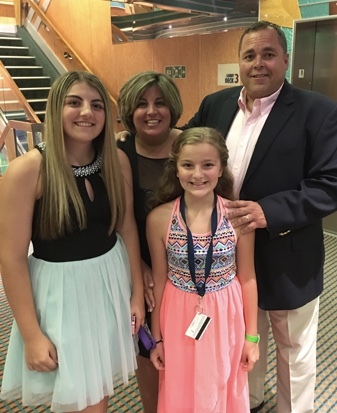 In 2015, Lisa received her new kidney at Weil-Cornell on 12-15-2015. Lisa and the donor were a near perfect match. I am pleased today that Lisa is doing great! As an aside, ironically, I am an Alumni of SUNY-New Paltz. Please let us know how we can be of any kind of help. Bruce at brusol@mac.com. Thank you! I am sending you a message. For Your free Kidney4 website, contact emirsky@mirskylaw.com. Picture Window theme. Powered by Blogger.